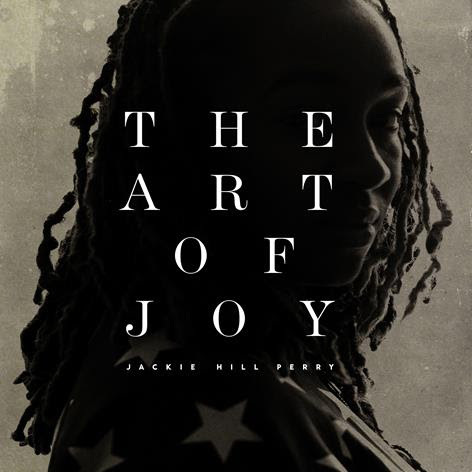 With a super fast flow and rich lyrics penned from a love for the gospel, Humble Beast artist Jackie Hill Perry is about to drop new album The Art of Joy. The record is a very joyous affair, although it’s one of those albums that you need to listen through a number of times to understand the bigger picture of what’s happening, and discover that Jackie’s true joy is found in the gospel. Jackie is a gun storyteller and a master poet, and has an ability to transport you into the tales she spins, with good humour and strong conviction. There are a number of moments on The Art of Joy that hit me hard, challenging me to love Jesus better, love those around me better, and most of all find my joy in my identity in Christ. The album opens with brief track The Argument before launching into Educated Fool, which challenges the norm of what true knowledge is. Jackie raps about scholars and Eve in the garden over a scratchy beat, and then challenges us to not be like the Pharisees, who knew the scriptures but didn’t recognise the Saviour, for their knowledge was within themselves. True knowledge is God-given. Colossians 1 is on show here, and it’s clear that Jackie knows her Bible and wants us to as well. Better (ft. JGivens & Natalie Lauren) has some slick production, and some deep poetry. The song calls us to live for the truth: ‘You gotta see something better than the stuff around you… than the pretty treasures trying to drown you.’ Miss Fearful gives a nod to Red Hot Chili Peppers’ Give It Away but twists it with a hopeful note, ‘You can sing a song of freedom!’ I love the synth sounds on the chorus and the rich juxtapositions painted of fear and freedom. The Art of Joy closes with the title track which is a very upbeat, positive way to close proceedings. Jackie shares more about the ways she has searched for joy, and concludes that ‘Satisfaction only happens to those who are glad in you.’ It’s a call to know the gospel for yourself, live it out, and share it with others. Jackie Hill Perry has done great things on this album, only through the strength she gets from her Saviour. Her honesty is bold, and her love for the gospel is evident throughout the record. It oozes truths from scripture and skilful production, and it reminds listeners that God is in control of all things, and gives us joy in Christ. I’m giving The Art of Joy four stars. The Art of Joy by Jackie Hill Perry will be released this Tuesday, 4th November. It will be available as a free download at Humble Beast, and if you want to support Jackie’s ministry, you can pre-order it now on iTunes. Posted in MusicTagged Album Review, christian, Humble Beast, Jackie Hill Perry, The Art of JoyBookmark the permalink. Brilliant review. Absolutely loving this. Can’t get enough of the Solution. Thanks Luc! It’s a sweet album indeed.